A fast-moving wave of low pressure will skirt to our south overnight producing a period of steady rain and snow. 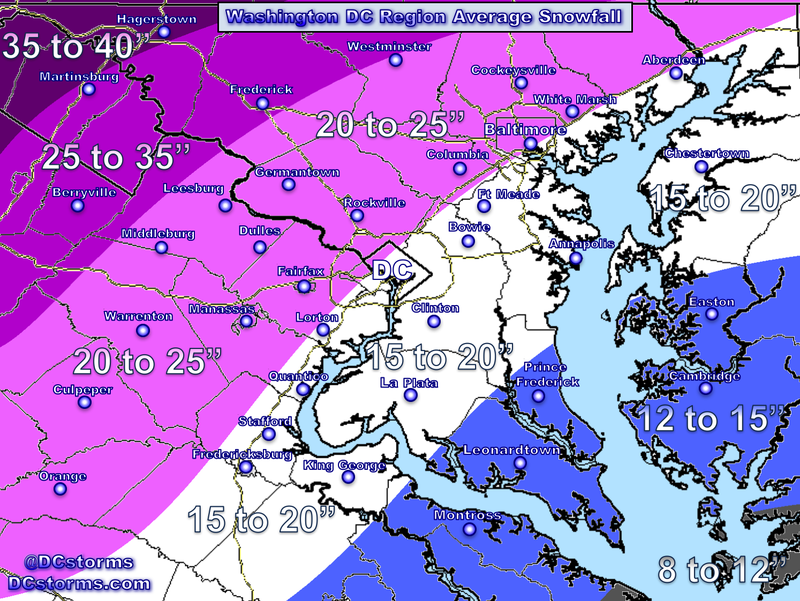 Snow shovels and plows will be needed across northern Maryland once again this Spring with some locations picking up more than four inches of snow. 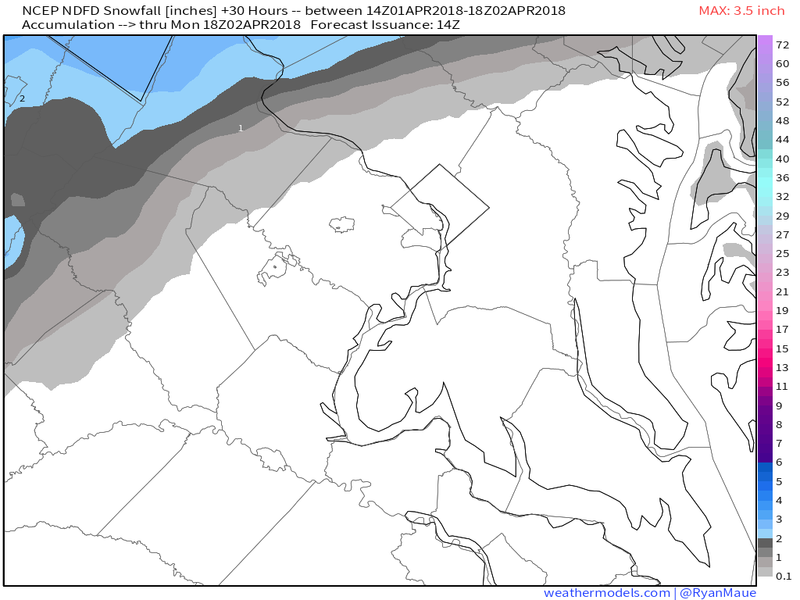 Closer into the Washington Metropolitan Area (WMA), boundary layer temperatures will likely be just above freezing causing snow that will be falling from the cloud base to melt into rain. 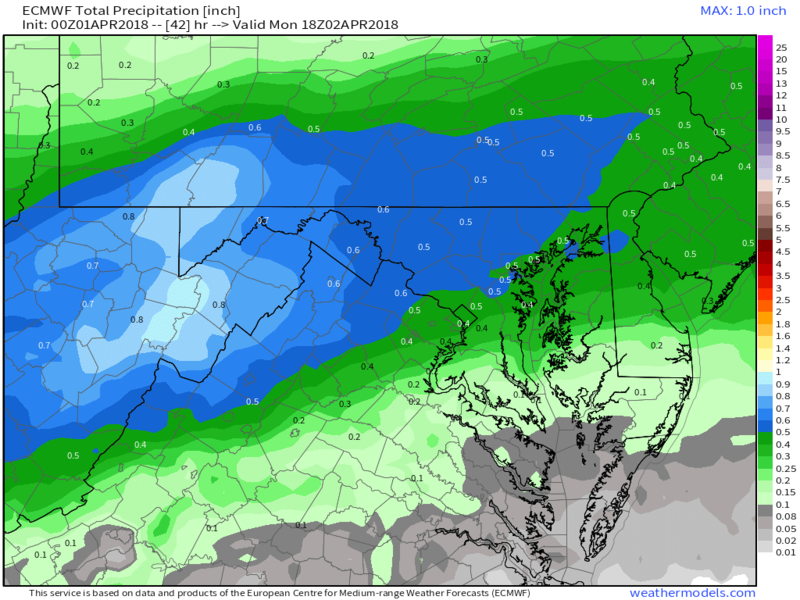 If the precipitation falls heavily for a prolonged period of time, colder air (higher in the atmosphere) may be brought down (dynamic cooling) to the surface allowing temperatures to fall just enough for cold rain to change over to heavy, wet, snow. 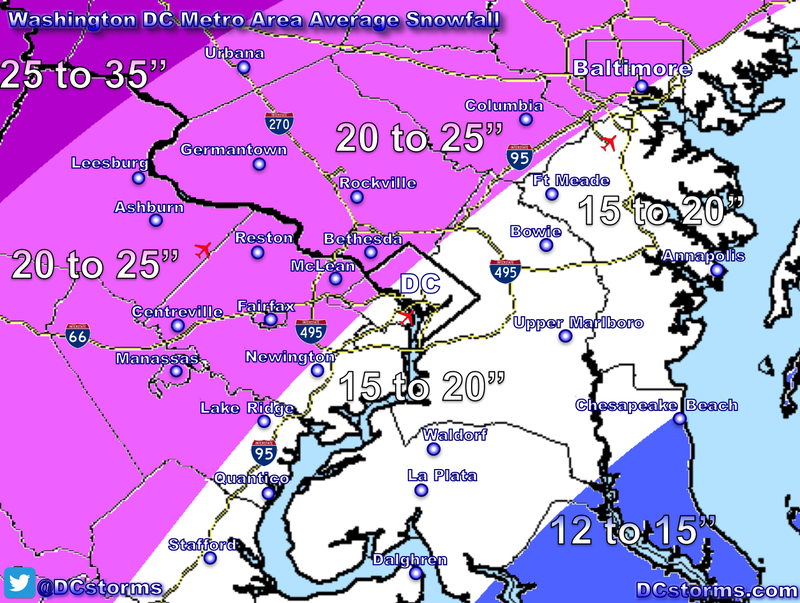 Whether or not this pans out right around the immediate DC Area remains the elusive question. 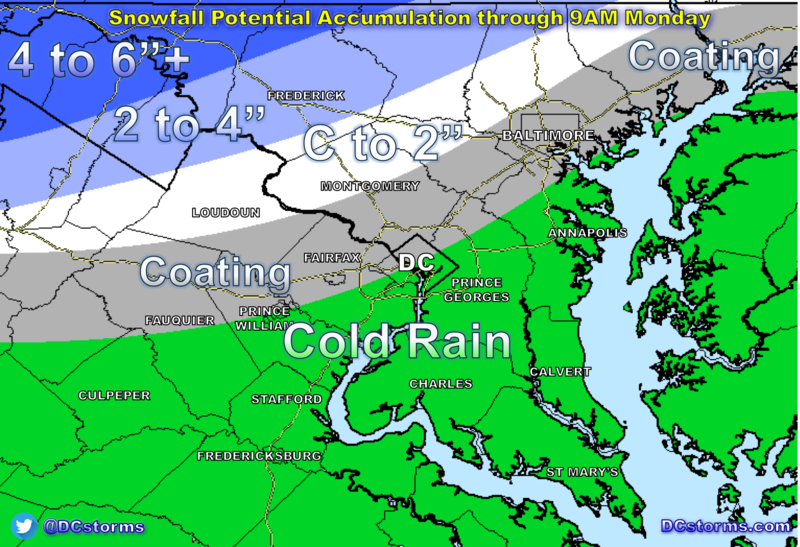 If this does materialize, grassy surfaces in Metro DC could pick up to one inch of snow. The next image (European forecast model, courtesy weathermodels.com) shows the area of pink where the forecast is especially challenging overnight. 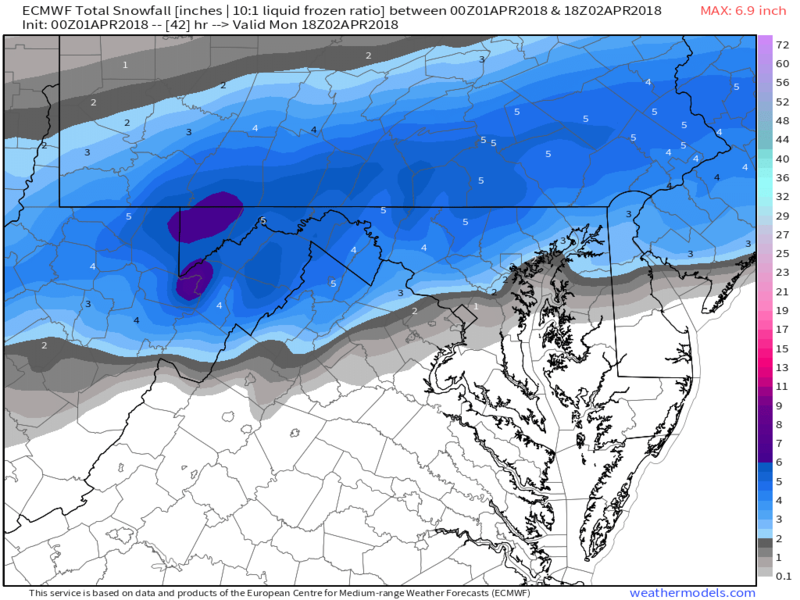 The higher elevations of West Virginia and western Maryland are going to get crushed with 5 to 8″!